Individual differences in personality influence the occurrence, reporting and outcome of mental health problems across the life course, but little is known about the effects on adult psychological well-being. The aim of this study was to examine long range associations between Eysenck’s personality dimensions and psychological well-being in midlife. The study sample comprised 1,134 women from the 1946 British birth cohort. Extraversion and neuroticism were assessed using the Maudsley Personality Inventory in adolescence (age 16 years) and early adulthood (age 26). Psychological well-being was assessed at age 52 with a 42-item version of Ryff’s Psychological Well-being Scale. Analyses were undertaken within a structural equation modelling framework that allowed for an ordinal treatment of well-being and personality items, and latent variable modelling of longitudinal data on emotional adjustment. 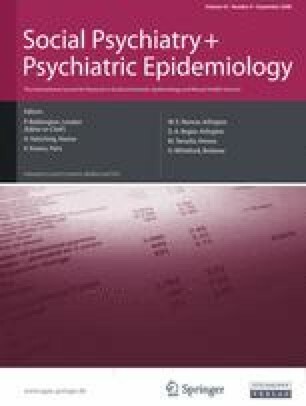 The contribution of mental health problems in linking personality variations to later well-being was assessed using a summary measure of mental health (emotional adjustment) created from multiple time-point assessments. Women who were more socially outgoing (extravert) reported higher well-being on all dimensions. Neuroticism was associated with lower well-being on all dimensions. The effect of early neuroticism on midlife well-being was almost entirely mediated through emotional adjustment defined in terms of continuities in psychological/	psychiatric distress. The effect of extraversion was not mediated by emotional adjustment, nor attenuated after adjustment for neuroticism. Individual differences in extraversion and neuroticism in early adult life influence levels of well-being reported in midlife.